These were the jocular words of DAR’s manager, Kamlesh Singh-Bora, when I told him I was thinking to adopt Kalu, who was, without a doubt, DAR’s laziest dog. My eight year old black-and-white bundle of fur had been at DAR since he was a puppy. Kalu survived a car accident when he was very young but lost half of his right front leg. DAR took him in and operated on him, but they couldn’t release him back onto the street. During all the years he was at DAR, no one wanted to adopt him locally, and international adoption is rare in relation to the number of stray dogs in Dharamsala. When I met Kalu for the first time in the permanent resident dog area at DAR, he wouldn’t even come out of his kennel. He would move somewhat reluctantly for a hike, and with great determination for dinner, but other than that, he would never budge from his place in the kennel. He seemed lazy or disinterested. I don’t think he expected to find a human family or that his life would ever change for the better. He was a bit gloomy, and that touched my heart. Once you are no longer a cute puppy, your chances of adoption decrease, and the sad fact is, if you are in some way disabled humans will often refuse to adopt you. I think Kalu somehow understood this. I, personally, was smitten by his personality. He was calm and relaxed, and a little reserved—he couldn’t really compete with the other dogs. He was not aggressive and not an alpha dog. I knew that KK, (Kuschel-Kalu—kuschel means ‘cuddly’ in German, and he loves to be cuddled!) would fit very easily into my life in Germany. So, having come to India to do research for my master thesis, I stayed on as a volunteer at DAR, and left as a dog owner. In the beginning, Kalu did not want to leave DAR. It was the only home he had ever known. But once in Berlin, he settled in beautifully. These days he is vibrant, confident, happy, playful, and silly with his friend Flash, a Golden Retriever. And three-legged Kalu is often faster than four-legged Flash! Kalu has finally found his forever home. We are currently working on commands in German. Kalu walks with a prosthetic to avoid getting arthritis in his remaining front leg (as it has to carry all the weight), and he is getting better and better at using it. He is already walking perfectly without a leash. He is smart and eager to learn. However, when you adopt a dog, you also inherit their past. In our case, Kalu panics if it’s stormy, as if it reminds him of some trauma that he experienced when he was younger. Additionally, he sometimes is a bit stubborn. KK enjoys taking a seat during walks to get some extra attention and some cuddle moments with a big dog-smile on his face. Some good things, however, never change—if he smells Indian food, his eyes become big and dewy. Who cannot relate to that? Oh, and he still is the laziest, sleepiest dog around. I have learned that desi dogs (local street dogs), no matter what they have experienced in their lives, are full of love and affection. Anyone who is considering getting a dog, please check out your local shelter and Dharamsala Animal Rescue. You will never regret the decision to adopt a street dog from India. The joy I get from having Kalu in my life is worth far more than I paid for his relocation. 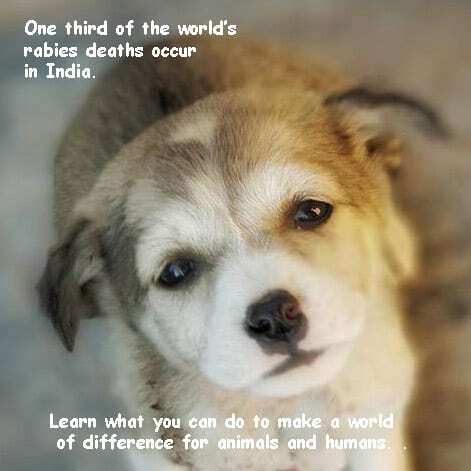 However, deciding to adopt a dog from India is a massive undertaking. If you are from the European Union, at any rate, it includes plenty of paperwork: You will need a titer test from an EU lab, health certificates, export/import permit, plus the obvious requirements—an, IATA kennel and a plane ticket. Time and money are the keywords in this process. I would like to hereby offer my help to anyone who is adopting a dog from India. It’s a lot to figure out by yourself. For Kalu and I, it was definitely worth it. Please feel free to write to me on Facebook. Thank you DAR for taking care of Kalu for such a long time. Get our best articles straight to your inbox. Marie-Christin Goetz was born in 1989 in East Germany in the year of the German Reunification. One constant feature in life she recalls was having a family dog to play or spend time with. With a love of travelling and a deep interest in human welfare, she studied Social and Cultural Anthropology in Germany and was able to live for almost two years in Lhasa, Tibet, which was the experience of a lifetime and made her very humble concerning the realities of life. 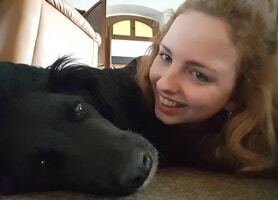 That was her first time in Asia and the first time she was exposed the outrageous number of stray dogs in horrible conditions in Tibet, Nepal, Turkey, and so on―a phenomenon that is unknown on German streets. 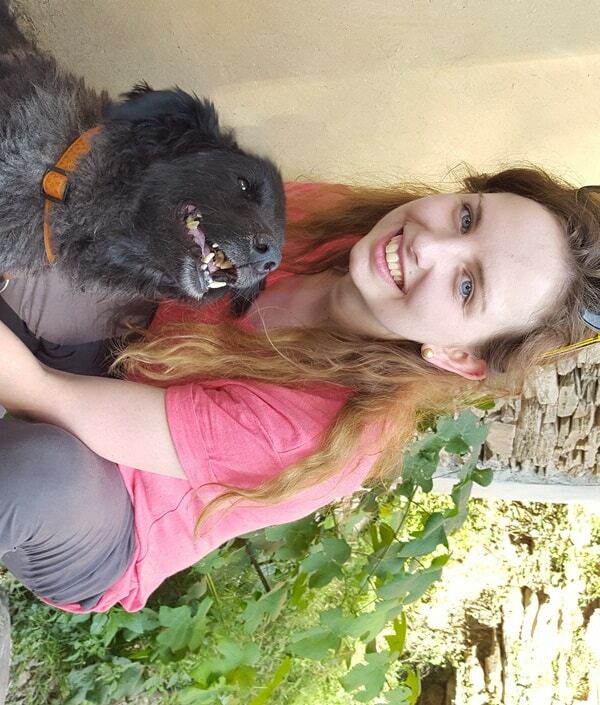 Marie worked as a volunteer at Dharamsala Animal Rescue in 2017 to gather data for her master’s thesis, researching the motivating factors and strategies of work at animal rescues in India. It hit her hard to see so many stray animals suffering in India and to see the full quota of permanent resident dogs at DAR, dogs who have little chance of being adopted. 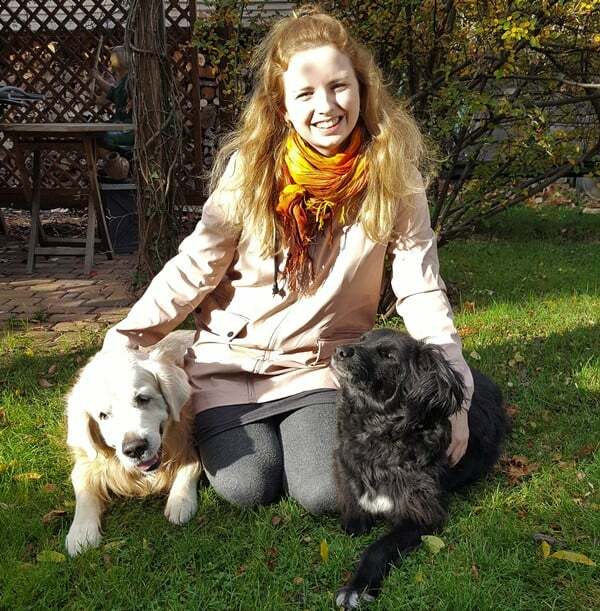 Nowadays, Marie works with children, running an educational project for teenagers at a museum, and enjoys her life in Berlin with Kalu. 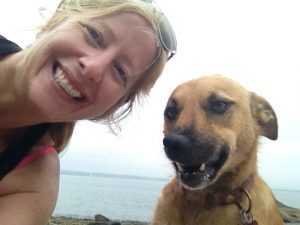 To talk to Marie about the process of adopting a dog from India, please contact her on Facebook.